Materials: Opaque hand blown crystal glass. Bakelite socket. 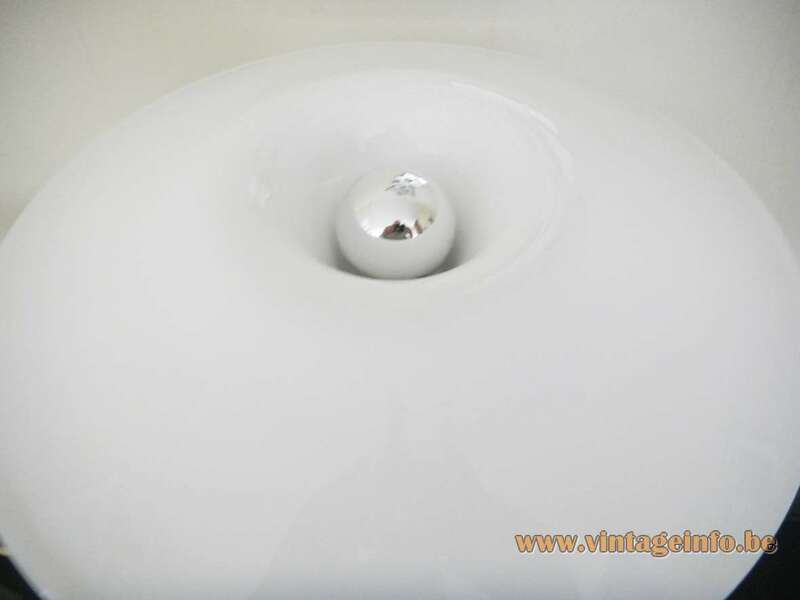 Any type of light bulb can be used, but preferably a silver cupped light bulb. Designer: Sidse Werner (1931 -1989). 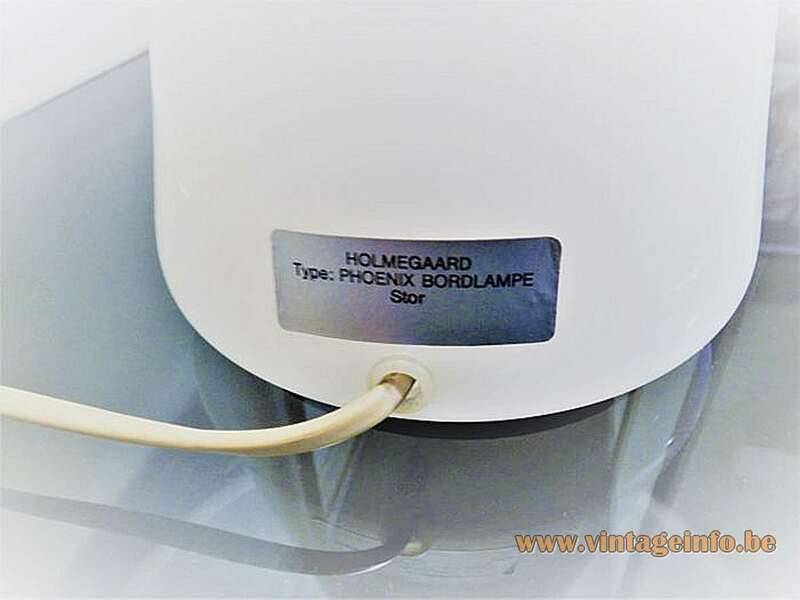 Manufacturer: Holmegaards Glasværk, Hørsholm, Denmark. Other versions: Also made in a smaller version of 25 x 33 cm / 9.84 x 12.99”. The Danish architect and industrial designer Sidse Werner, born in 1931, studied at the College of Architecture and Industrial Design in Copenhagen (Kunstakademiets Arkitektskole). In her first years she worked in the workshop of Nana Ditzel and then in 1970 Sidse Werner set up her own studio. 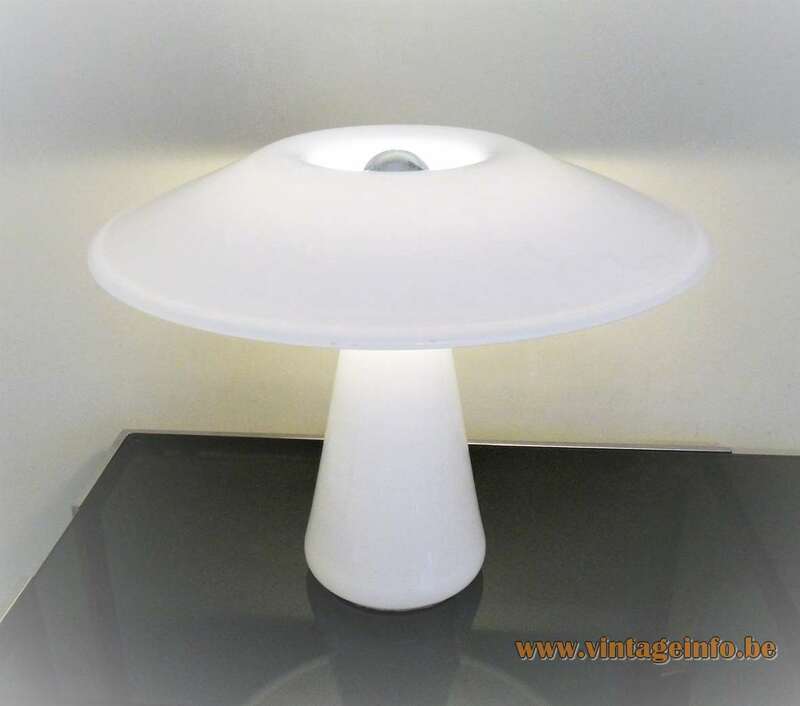 She made designs for furniture, carpets, lamps and accessories. Quickly she gained international recognition through the design of her umbrella stand (1971) and the Coat Tree coat rack (1972) for Fritz Hansen. Sidse became known in the global world of design and exhibited in cities such as London, Paris, New York, Milan, San Francisco, Frankfurt, Cologne, Tokyo, Stockholm. A number of her designs have been included in collections by museums. 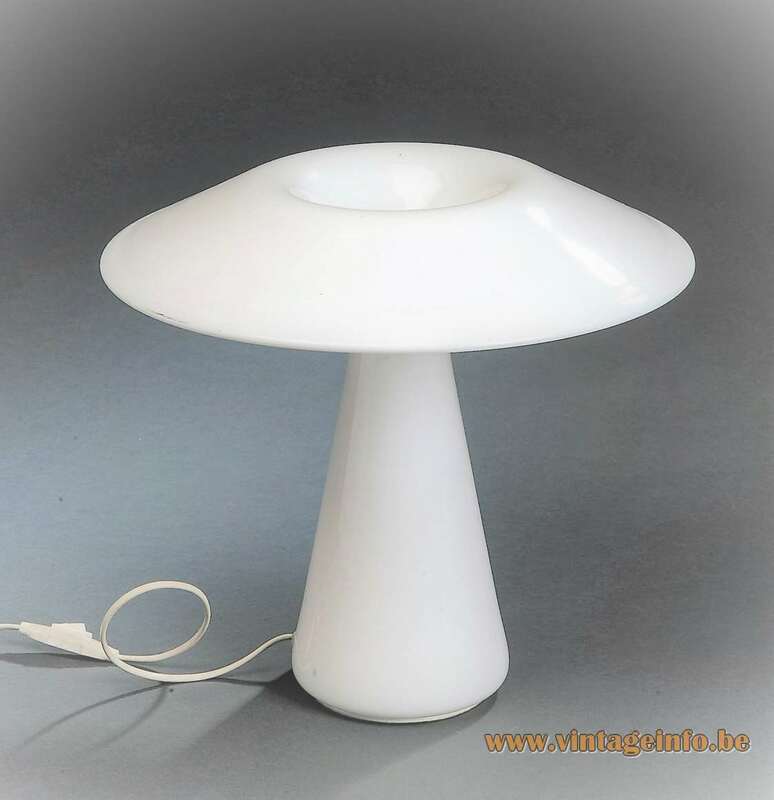 Very successful were her designs for glassware and lamps for the Danish company Holmegaard, such as the apothecary lamps. 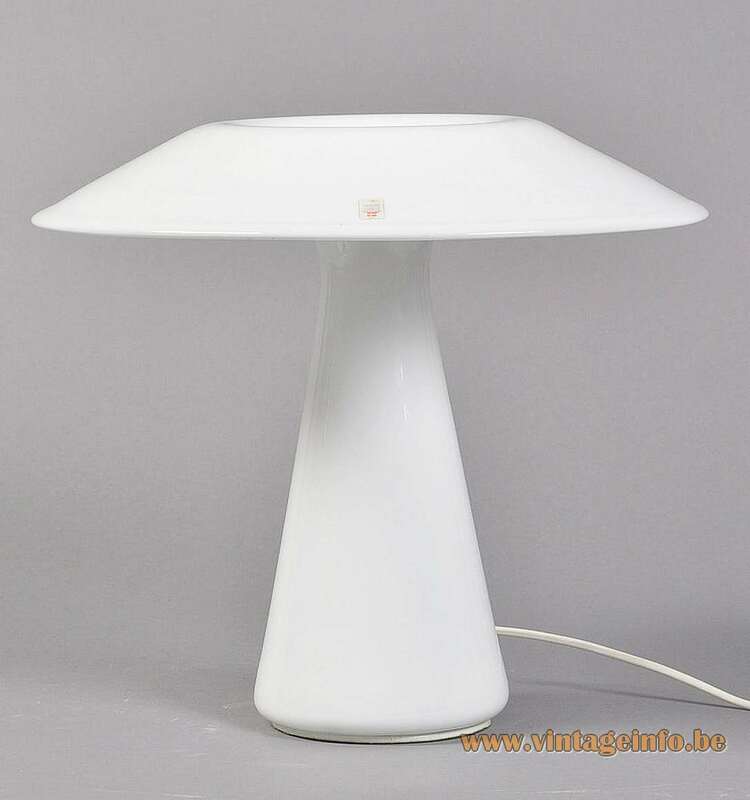 Sidse Werner also designed for Fog & Morup, a Danish lamp producer who worked with Holmegaard for the glass parts of their lamps. Sidse Werner died in 1989. 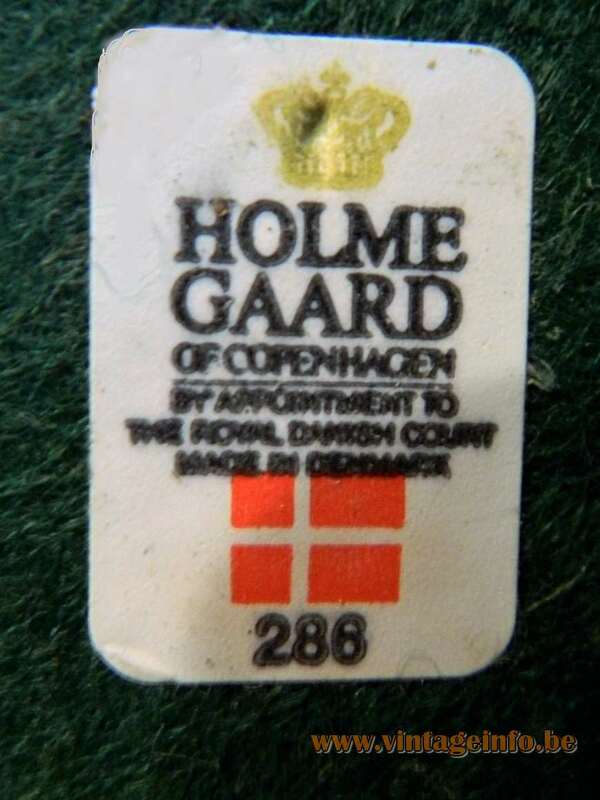 The Holmegaard glassworks factory was founded around 1820 by Count Christian Danneskiold-Samsøe in the town of Holmegaard Mose (“Holmegaard Bog”), but he needed permission from the King of Denmark. The Count died in 1823 without receiving an answer from the king. A short while after his dead, permission was granted and his wife Countess Henriette Danneskjold-Samsøe started the business. Production began in 1825. In the beginning the company produced only green bottles, but within its first decade production was shifted on to table-glass. During the 20th century, artists such as Jacob Eiler Bang (1899-1965) entered the equation, designing and shaping Holmegaard’s glass products. 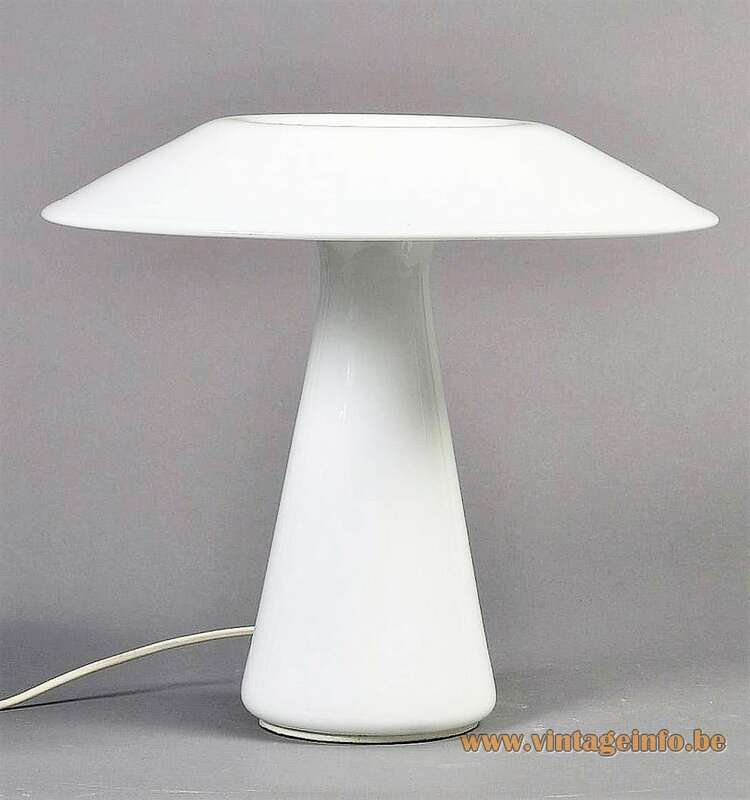 Designer Per Lütken(1916-98), and Jacob Bang’s son, Michael (1944-2002) joined the firm and brought it to what it is now: a well known company, famous for its high-quality products of Danish design. Today Holmegaard is part of the Rosendahl Design Group.